Kenya East Territory is located in the Eastern part of the Africa Continent. It is boarded with Indian Ocean, Tanzania and Somali. In 1896, the Salvation Army work started in Taru at the Coastal part of Kenya. Among the builders of the Kenya-Uganda Railway, were three Salvationist who first witnessed at this place. In 1921, Commissioner and Mrs. Alister Smith who became the first Territorial Leaders in Kenya witnessed in the City of Nairobi. They first witnessed at Pangani, then moved to Ngara and finally stationed the work at Quarry Road. In 1923, the first Cadets were trained. 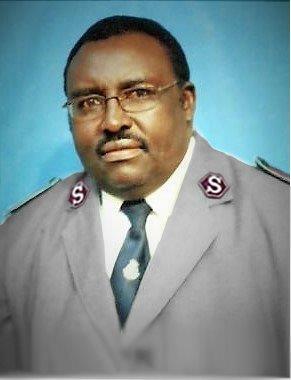 During this witness, David Gakumo received salvation and became the first Kenyan Cadet and Officer of the Salvation Army. The work expanded rapidly spreading to Gimomoi in Mbale Division and Kwamulinga in Thika Division. 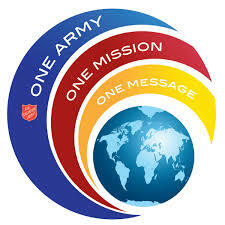 The Salvation Army is an international movement, and an evangelical branch of Universal Christian Church. Its message is based on the Bible; it's ministry motivated by the love of God. The mission is both spiritual and practical, encompassing the preaching of the Gospel and alleviating human suffering and distress without discrimination. 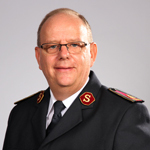 The soul of The Salvation Army is found in nationwide congregations where Christian believers seek their salvation and serve their communities. They forge relationships within the community based on love, care and acceptance. FAN THE Flame was the theme that continued to inspire Kenya East Territory during the year under review. The visit of General Andre Cox (WPWM) inspired a spiritual revival among the more than 8,000 Salvationists who attended the gatherings and children in the social institutions were also blessed by the presence of the international leaders. At the event more than US$44,000 was raised for the self denial appeal and a number of musicians commissioned. Commissioner Vinece Chigariro (TC/TPWM) conducted the commissioning and ordination of 36 cadets. The women’s ministries Department purchased a vehicle that enabled the women to visit Lang’ata Women’s Prison and share Gods word with the inmates and present personal items and clothes for the babies and Njoro Special School where 75 mattresses, bedding and food were distributed.